We were in Ross Park Mall, having a really grand time at one event, when a different surprise event was about to be bestowed upon us. What I love best about my job are all the great people I meet when I am out. I am always humbled by the graciousness of companies and their employees wanting to interact with my brand. I was surprised and thankful for the opportunity that presented itself because of a thoughtful Chick-fil-A manager named Trinity! As you all may remember, Piercing Pagoda hosted a great Sweet 16 Girl’s Night Out piercing party for my daughter and her friends. Before we had arrived, the manager of Piercing Pagoda(Dawn), had spoken to the manager of Chick-fil-A and suddenly a full night of fun abounded for all. We were treated to meals after our piercing party at Chick-fil-A and all we had to do was walk a few steps to get there. Here’s to a Sweet 16 with Chick-fil-A for a GNO. 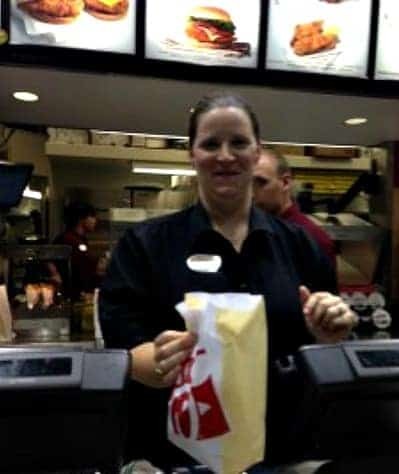 While we were waiting for all the girls to come to the piercing party, the manager of Chick-fil-A(Charity) came over and spoke with me about the possibility of me bringing my guests after piercing to Chick-fil-A for a meal. Even though the party was for my daughter who was turning Sweet 16, my oldest son was next to me and probably more excited than anyone because Charity had said the word “food” and to a growing teen boy there is nothing better! Without hesitation, I accepted after all Chick-fil-A rocks the chicken and waffle fries and I knew the crew I had with me would definitely eat! A chance to work with Chick-fil-A … WOW, not sure if it was a party for my daughter or more for me? I did quickly review with Charity that there had been no changes to the allergens on the menu and that they could still accommodate my son with nut and latex allergies and they sure did! Charity was so affording as she created the perfect finish to a GNO for my daughter. The girls and boys(that were there) ordered whatever foods they wanted and we carried the party over to a few tables. Imagine this, there were 9 teen friends and my boys, as well as a few parents that had stayed to sign the release for ear piercing and suddenly it went from one ear piercing to dining- so much fun. Chick-fil-A was cooking and we were smelling the foods which made everyone even more hungry. If you know Chick-fil-A you know that their Chick-fil-A Waffle Fries are a must and if you don’t know about the fries, now you do and I will tell you, stop your shopping just for the fries! 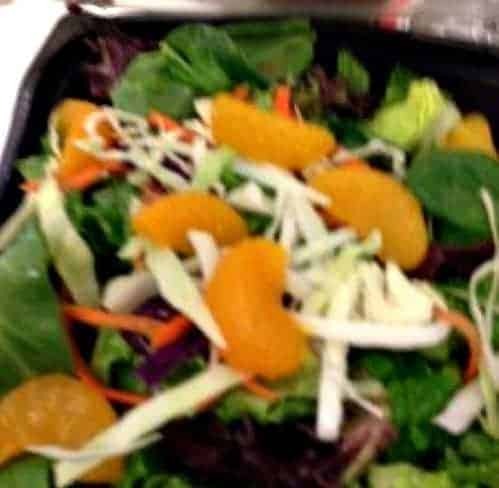 My daughter’s friends all knew the secret of the fries and the fries were an obvious choice that everyone ordered, as well as a few Chick-fil-A Deluxe Sandwiches, a couple orders of Chick-fil-A Nuggets and Chick-n-Strips and my meatless Asian Salad! I am not sure what was best, but I do know for about 15 minutes, I did not hear anyone talking, as everyone was eating and drinking and enjoying the food! Trinity checked on our party and made sure we had everything we needed, but they had handled it so well at the food service counter, we really needed nothing else! My daughter and her friends had quite the evening! Chick-fil-A is the second largest quick-serve chicken restaurant chain in the United States and you will find it in 39 states with 1,700 locations. The company is privately owned. 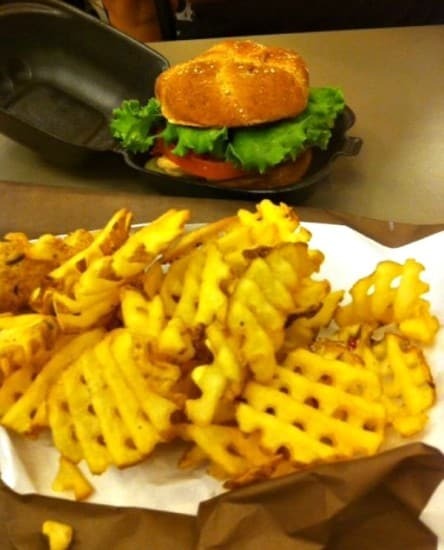 The chain offers, drive-thru only, mall/inline restaurants, stand alone restaurants, stand-alone lunch counters and more! If you are traveling and want a good chicken meal, don’t just stop at a diner along the road, GPS the local Chick-fil-A because your chicken will be done right! Shopping can lead to famine, so if you see the sign for their establishment, dine there because the food is fresh and tasty! For those of you who don’t consume meat, and I don’t, you can make any salad meatless, and the wraps can be made the same, just ask(I did). Meatless Salad For Vegetarians, Just ask. Additional items you might stop and snack on include fries, ice cream cones, beverages and platters. Hosting a party often mandates the need for trays of food and Chick-fil-A offers trays, just call and ask or look on line. Perhaps you require a more heart healthy menu? Chick-fil-a offers fruits, and you can order grilled chicken rather than fried! Kids meals are available and sure to please. My daughter and her friends were delighted to dine with Chick-fil-A as they provided her party with fun foods in a very easily accessible location creating a perfect ending to a GNO . I just can’t imagine that a 16 year old could have had a nicer impromptu evening with such a grand Surprise from Chick-fil-A. Thanks to Chick-fil-A for hosting us and providing all the great food that our guests dined on, we really appreciated it! Trinity, what a pleasure meeting you and your staff, again our thanks! Next time you are out and craving specially prepared chicken, locate your Chick-fil-A and your belly will fil-A lot better after you eat there! Two Chicken Tenders up for dining with Chick-fil-A and here’s to lavishly living a SWEET 16 With Chick-fil-A For A GNO. 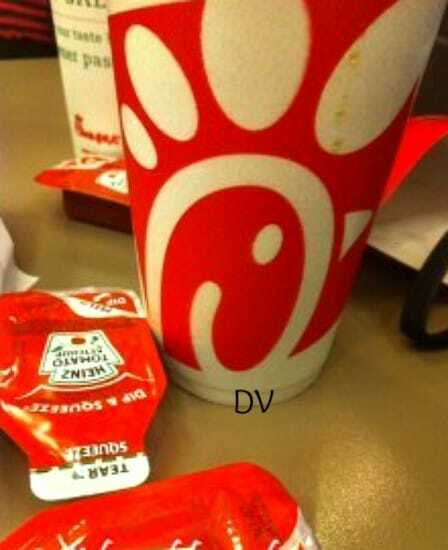 Dining was provided by Chick-fil-A, opinions and images are my own. Our special thanks for this IMPROMPTU fun, we really enjoyed this!